Visiting a new church can be daunting at times. We hope this page can act as a guide when you visit an Episcopal church for the first time. No matter where you visit, be sure to introduce yourself to other parishioners, clergy and ushers so that they can get to know you better. Like many Christian denominations, Sunday is the traditional day of worship in the Episcopal Church. The central service is called the Holy Eucharist, which is also known as Holy Communion. In most Episcopal churches, the service consists of a series of prayers, hymns and scripture readings. In some churches, much of the service is sung. Worship of all kinds exist in the Episcopal Church. Services can range from very formal rites, complete with incense and vestments (fancy outfits), to informal contemporary services. Regardless of worship style, all Episcopal services are rooted in the Book of Common Prayer, which makes every service feel familiar. Unique in our church is the Book of Common Prayer, the collection of worship services that all worshipers in the Episcopal Church follow. It’s called “common prayer” because we all pray it together. The prayer book explains Christianity, describes the main beliefs of the Church, and in general serves as the main guidelines of the Episcopal life. 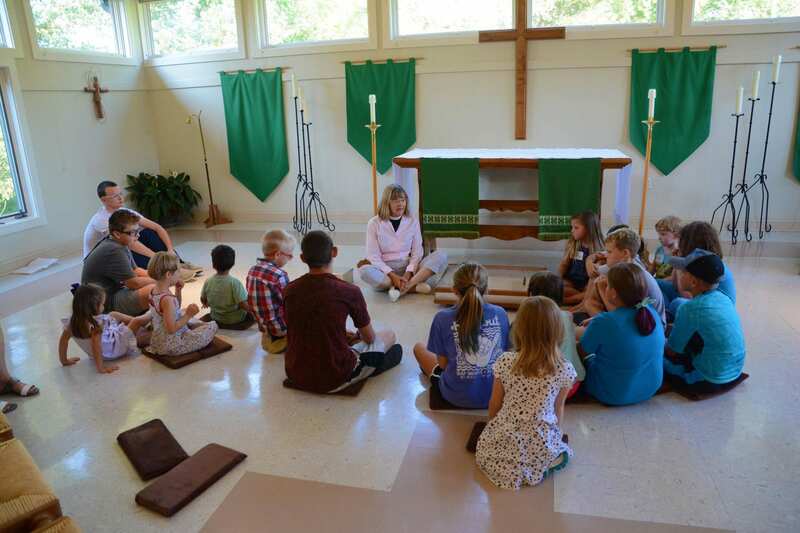 Episcopal worship is said to be “liturgical,” which means the congregation follows similar service patterns and prays similar prayers that usually don’t vary much from week to week. Most Episcopalians find a rhythm in the service that gives it a sense of familiarity. If this is your first time visiting an Episcopal Church, you’ll notice we do a lot of standing, sitting and kneeling. For a lot of first-time visitors, this can be confusing. However, once you become familiar with Holy Eucharist, it will all feel like second nature. We begin each service by opening our hearts to God through song and prayer. 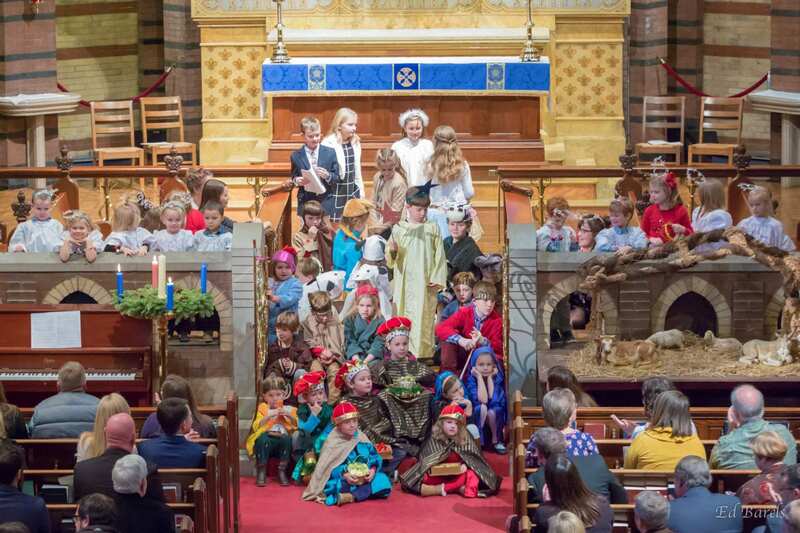 We then sit for a series of readings from the bible, including a psalm and Gospel reading. A sermon which interprets the readings for the day follows. After the sermon, the congregation together recites the Nicene Creed, which outlines our basic beliefs about God. The congregation then prays the Prayers of the People together- praying for the Church, the World, and those in need. In certain seasons of the Church calendar, the congregation formally confesses their sins against God and one another (a prayer outlined in the Book of Common Prayer). This is a statement of what we have done and what we have left undone. This is then followed by a pronouncement of absolution by one of the clergy members. We then greet each other with a sign of “peace,” which could be a handshake, a hug, or a kind greeting. The priest stands at the altar which has been set with a cup of wine and a plate of bread or communion wafers. Now begins the Eucharistic prayer, which tells the story of our faith. It begins at Creation, leading through the choosing of Israel to be God’s people, through our repeated turning away from God, and God calling us to return. Finally, the presider tells the story of Jesus Christ, and about the night before his death, in which he instructs his disciples to use communion as a way to remember him. 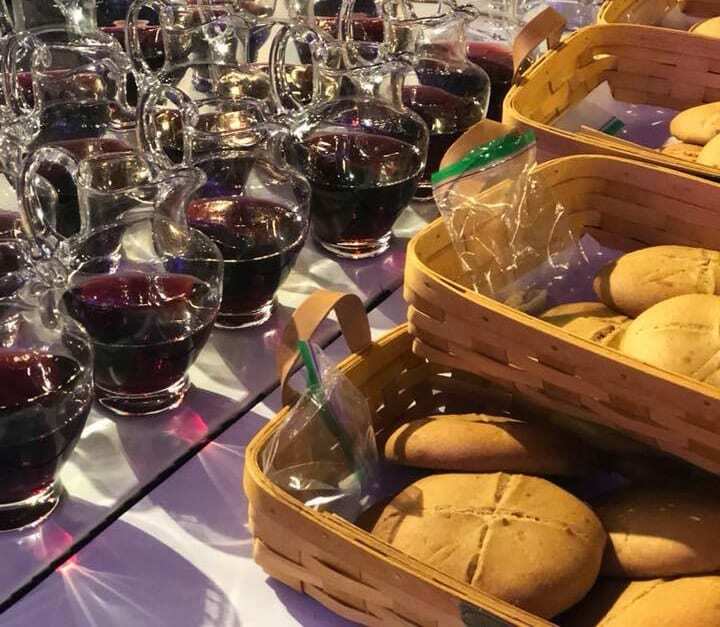 The presider then blesses the bread and wine, and the congregation together says the Lord’s Prayer. The congregation then shares the bread and wine. Mostly, the people all come forward to receive communion, although sometimes the elements are passed around in different ways. Through the Eucharist, we are strengthened in our relationship with Christ and one another. All who seek a deeper relationship with God are welcome to participate in the communion. There’s no dress code. Some people wear their Sunday best, while others wear jeans. Whatever you feel comfortable in is fine.